Jump your way to victory! Bean Dreams, the sequel to Kumobius's Bean's Quest, is a platformer with a twist. 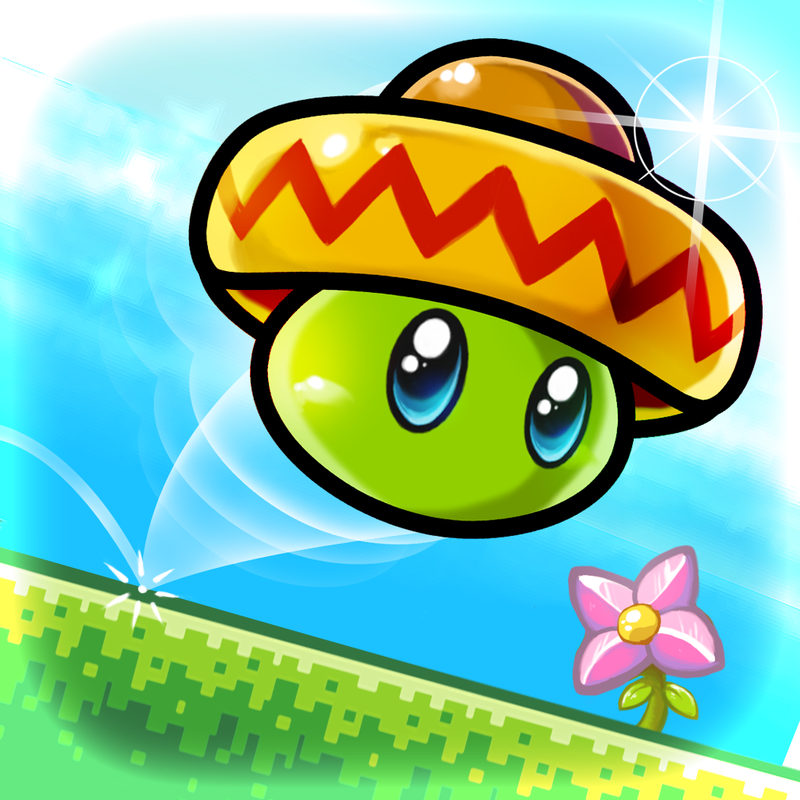 Playing as a Mexican jumping bean, players have a limited amount of jumps to make it to the end of a level. Kumobius has really refined the formula here, and the levels are short and sweet, perfect for mobile gaming. I love the colors, they're reminiscent of old freeware platformers, and are sharp from the 3GS (which is still supported) to the iPad Air. The shortening of the levels eliminates a ton of frustration. I hate games that force you to play a long level that belongs on a console, when mobile platformers are so much more readily suited to short bursts of gameplay, and Bean Dreams alleviates these frustrations beautifully. The controller support is also much appreciated for those longer home play experiences. The game is a bit too easy, which leads to a fun experience ending way too soon. The restart button is handy and a great edition, but it would be great if it had the option to go back to the start of the level as well as the last checkpoint. As it stands, you've just got to completely restart, which can be extremely frustrating. Bean Dreams is a great example of a platformer that is almost completely perfect for mobile. Although it is a bit easy, the short snippets of gameplay are perfect for busting out the game on the go. The game can be completely fairly easily, but more levels have been promised, and it's great to see a mobile developer so readily supporting their game.